Why do you want to make yogurt at home? I like preparing food at home. It's fun! I like experimenting in the kitchen. I want to make sure my yogurt is all-natural. I eat a lot of yogurt and feel weird about buying dozens of yogurt containers every week. 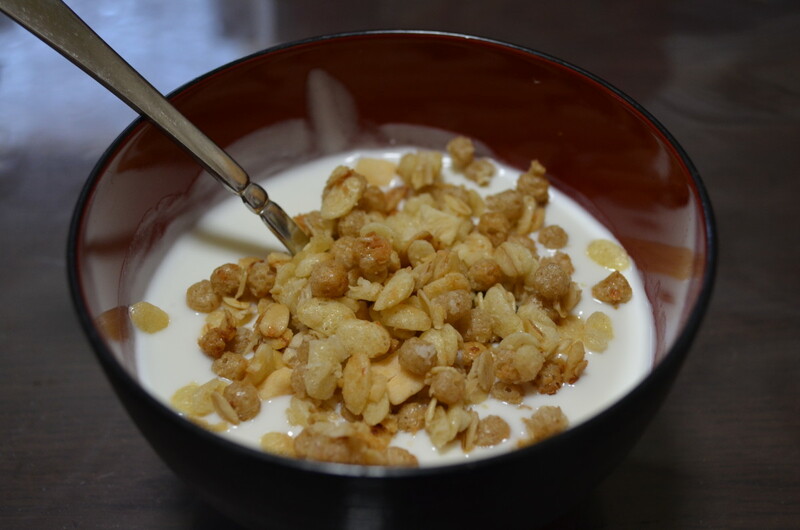 (optional) powdered milk, if you want your yogurt thicker - with a good starter, this usually isn't necessary. I do not use it. It kills any other bacteria that might be in the milk that would compete against the bacteria that convert milk to yogurt. It changes the milk protein in a way that allows it to culture and firm up. Keep stirring the milk and do not let it go past 180F. If it scorches, your yogurt will taste bad. I use boiling water from an electric kettle to sterilize my (cleaned) containers. Add the boiling water, let it sit for 5-10 minutes, and then pour out the hot water. Once the milk reaches 170-180F (76-82C), turn off the burner and continue to stir it as it cools. You only need to stir it for another 2-3 minutes, to prevent any of the milk from scorching at the bottom of your pot. Once it reaches 105-110F (40-43C), mix up your plain yogurt in its container until it's liquid, and add it to the pot of warm milk. Stir it for a couple of minutes for the yogurt to dissolve well into the milk. This will spread the bacteria (Lactobacillus, Bifidus, and other bacteria, depending on your source) throughout the milk and allow it to start to grow. Pour the inoculated milk into the containers. 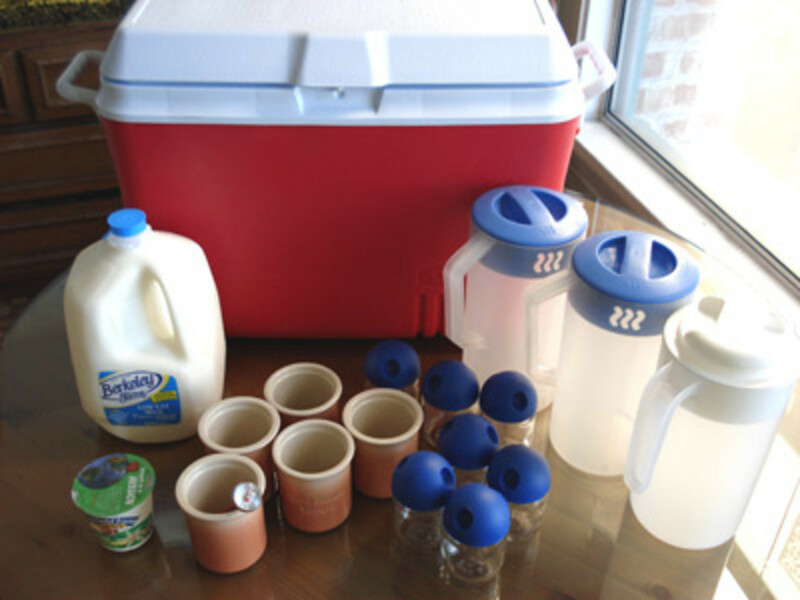 Put all the containers into the cooler, along with the pitchers full of hot water from the tap. The heat from those containers will keep the containers warm. The heat should be maintained and stable throughout the process, so try to avoid opening the container at all until the end of the process. The fermentation takes anywhere from 4-8 hours (about 6 is ideal). If the cooler/kitchen was a bit cool before you put everything in, you might want to quickly take those containers out at about the 1-2 hour point and refresh with hot water. 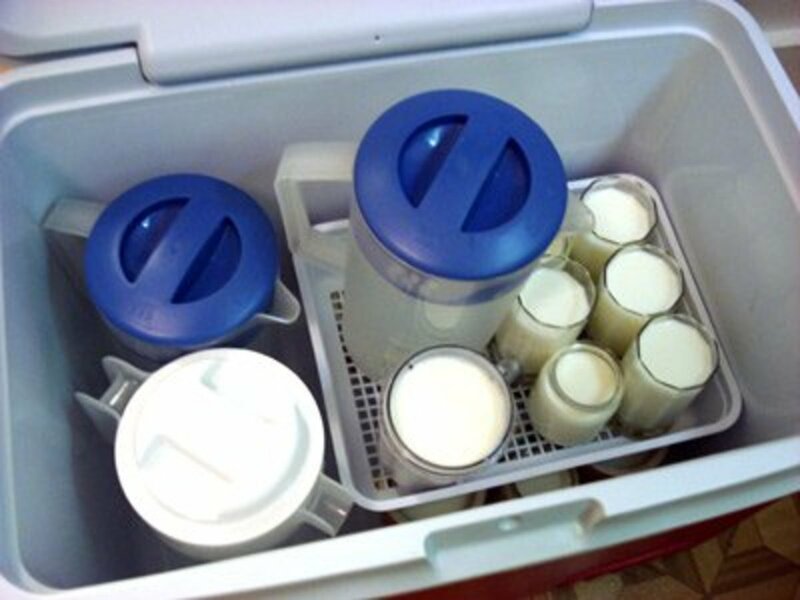 But keep the cooler closed as much as possible, to avoid letting the temperature of the yogurt containers from dropping. Also, avoid jostling the cooler, even if you have to open it up to refresh the hot water. It needs stillness to firm up. After about 6-8 hours (or a bit longer, if the temperature in your cooler is below 100F/39C), the yogurt should be firm. Test by gently turning it to see if it keeps its shape. There will be some slightly yellowish, viscous liquid on the top. This is whey. You can either pour it off, or just mix it into the yogurt when you eat it. Cap or cover your yogurts and put them into your refrigerator. They'll last about two weeks. If you want to use one of these yogurts as a starter for your next batch, use the yogurt within 5-7 days, or else freeze some of the fresh yogurt, and let it thaw before using it to inoculate the sterilized milk. If you like thick, Greek-style yogurt, which is strained, you can use a coffee filter to strain the resulting yogurt to drain away the excess whey and leave you with a much thicker product. The longer you strain it, the more it becomes almost like sour cream in consistency. If you don't want to use a cooler, there are a few incubators you can buy to maintain the right temperature during the fermentation process. A couple of the best are available from Amazon. I bought a gallon of 1% milk from Berkeley Bowl for $3.70. The container of yogurt was $1.30. All of the other things I needed I already had on hand, so no cost there. though i had never tried to make yoghurt but am sure once i get in kitchen i will come out with nice and delicious one. I LOVE my yoghurt and this looks extremely yummy. Hi! I made yogurt yesterday for the first time, but got it all backwards: I didn't heat the milk, in fact I prepared it (powdered, whole) with half room-temp and half cool water from the fridge; I washed, but didn't sterilize anything (my kid was thrilled to help with a toy pitcher); I used plain store-bought yogurt for cultures; I put the lids on all jars before fermentation (I left it all in the oven, turned off), and as it seems the oven was too cool for the process. At late night, about 9 hours, I took it all out to see if it was done; I even took the lid out and took a sip from one of the jars. It hadn't worked out. But I was too tired and so I left it all as it was to clean up in the morning and start over again. To my surprise, today I found the yogurt ready and done. It certainly is thinner than store-bought, but reading here all that I got wrong, I'm just happy that it all didn't go to waste. Will carefully read this post before trying it next time. I made this today came out perfect! Thank you!!! I love yoghurt, but every time i stir in the starter, it cuddles immidiatly, what's the solution? After a lot of research and trial and error I only use raw milk - **without heating** to make my yoghurt. 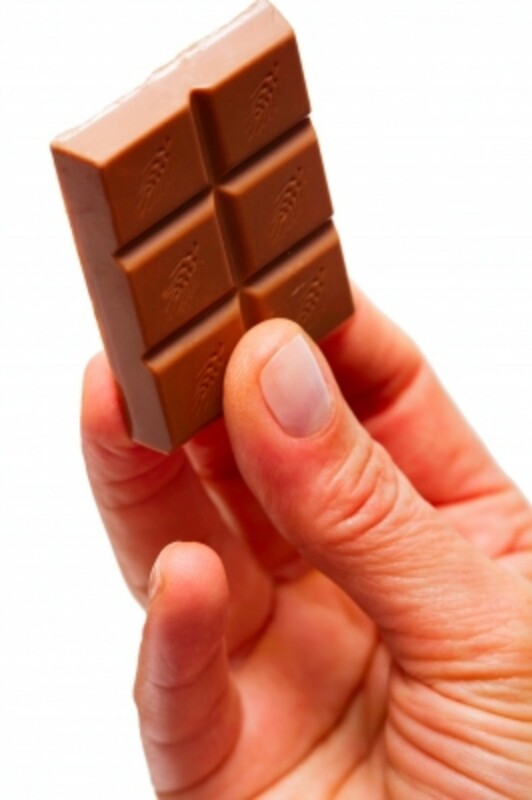 It has vital things that help digest the lactose and absorb all the right nutrients, that get killed if heating. I can't tolerate any kind of milk if it is heated. I always used to make yoghurt when my kids were little because of cost and difficulty getting to shop 13 miles away. I just mixed in fruit puree or nuts or oat bran to finished product as wanted. I have started again because of purity etc but also because I can no longer tolerate all those plastic pots! There's only so many you can re-use and I can no longer make excuses for all that unneccessary non-degadable rubbish.Not for me or my kids or my grandkids. Keep our planet beautiful. This is amusing. In Southern India people have been making yoghurt in this way in every home for ages. I am going to try this yogurt recipe thank you. 1. Pour two very heaping soup spoons of very fresh (live, active) yogurt into a quarter of very fresh COLD ultra pasteurized milk. 2. Stir well so that no solids are left. 3. Pour the mixture into a yogurt maker and let it set for approximately 15 hours. 4. 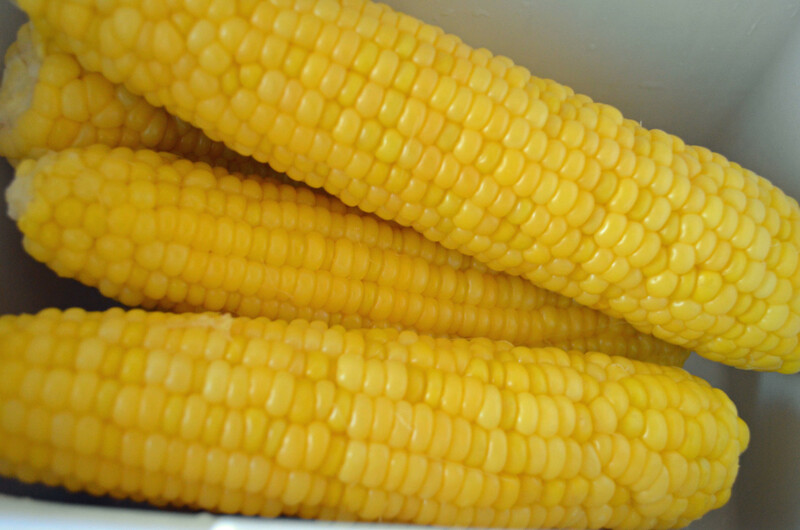 Refrigerate when done, and don't open the lid and consume until after at least 6 hours of refrigeration. Notes: (a) the milk HAS to be ultrapasteurized, not just regular pasteurized. Regular milk won't get the thick consistency you want. (b) I use a one-quart yogurt maker rather than one of those individual cup models. I make the yogurt in a one-quart canning jar. About a week later, when I've consumed most of the yogurt, I just pour more COLD milk into the jar (making sure there is a good amount of yogurt still sticking to the sides and bottom of the jar), stir it up well with a rubber scraper (ensuring that all the yogurt is scraped off the sides and bottom into the milk), and then repeat the process. I rarely need to buy new starter culture; I just keep going with this process and the yogurt cultures stay alive for months. (c) There is no need to heat up the milk; that's just a popular misconception. Yogurt is far easier to make than people realize. Thanks 4 making yoghurt production easy. the easiest way to make youghurt: get 1 litre milk, bring it to the boit in a pot, then let it cool down a little, the milke still need to be warm, then add 3 0r tablespoon plain yoghurt into the milk. put the lid on the pot and wrap it in a towel or a small blanket. After four hours enjoy the yummy yoghurt. I'm excited to try this recipe. How would I add vanilla to it for vanilla yogurt. Technically speaking I find your heating temperature (82 deg. C) of the milk rather low. The milk should be heated to 90 deg. C for 5-10 minutes, to denature the whey protein called beta-lactoglobulin, thereby exposing its sulhydryl groups (-SH) that bind with the kappa-casein through the disulfide linkages (S-S); the primary purpose of heating at a higher temperature. The second purpose of the sterilization temperature (90 deg. C) is to kill all microorganisms in the milk to prevent competition with the lactic acid bacteria (yoghurt culture). 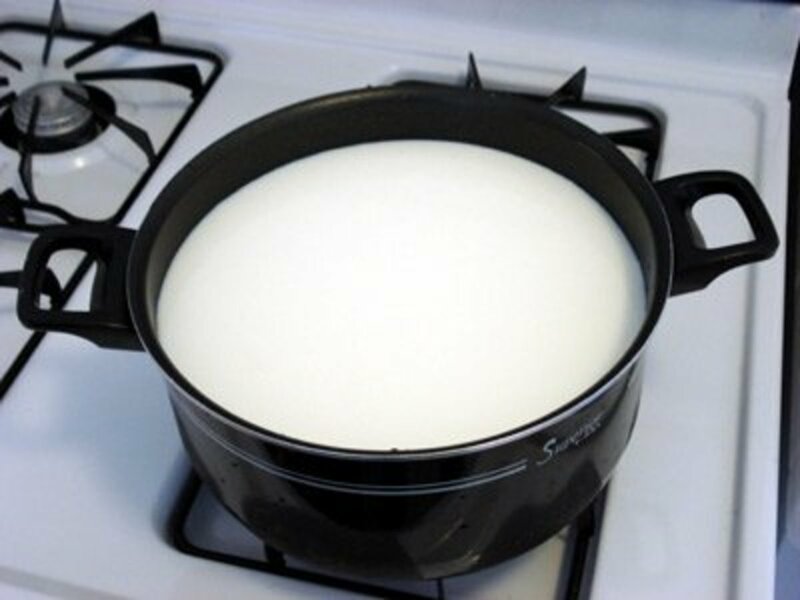 Use a double boiler to indirectly heat the milk and thus prevent scorching. I learned an easy way to make yogurt! 1 part boiling water, 1 part room temp water, 1 part powdered milk. Mix well, add 1 tablespoon of live culture yogurt for each 2 cups of liquid. Pour in a container. Wrap up in a towel and let it sit until done!! Works awesome. You can also use cheesecloth and let yogurt sit and strain for about 30 minutes. It helps with the consistency. I live in Northern California. The temp last few days has been around 105F. I just put my yogurt jar in a warm water bath and let it sit in the sun (on concrete pavement). After 6 hrs, it came out perfect. I have been doing this for for 2 days now, starting at around 11am daily. I just put the 3rd batch out today. It's so easy. I will try to make as many batches as I can before the weather changes. This does seem rather complicated. I also have the easiyo system and in search for a cheaper alternative to using just the easiyo sachets I worked out the following was just as easy and about half as expensive. 2-3 tablespoons of easiyo base and culture powder. cool/lukewarm water to fill to brim of container. Put lid on and shake until all ingredients are mixed. Fill yoghurt maker (which is really just like a big thermos)with boiling water to line just above the baffle - or a little higher even, just make sure to allow for displacement of water when container is put in. Take the 1L container and add to yoghurt maker and boiling water should surround it. Place lid on yoghurt maker/thermos and leave for at least 6-8hours. You can leave for up to 24hours without it spoiling. The whole preparation process really only takes about 2-3 minutes and if you leave overnight you'll have nice thick creamy yoghurt by morning. I just made a batch last night as well by using 2 big tablespoons of leftovers from the last batch to use as a starter for this one. It turned out to be a really nice consistency, much like the previous batch with the powder starter. I figure if I don't have to use the powder each time it will mean that it's just that bit cheaper again. I've worked out a litre costs me about $2 to make. Woolworths homebrand yoghurt costs twice that and isn't half as tasty. The yogurt sounds like it taste pretty good and putting fruit in their does sounds like it taste better. I will try it for the kids. Can I put fruit into the yogurt? if so, at what point do I do it? So, to William Wilson, I wonder if and how your coconut milk yogurt turned out...? it's extraordinarily delicious.why don't they offer such classes in school? I have been making yoghurt since the 70's. Back then and for many years I used powdered milk, evaporated milk and yoghurt starter in a large saucpan where the temperature had to be monitored. This was from Adelle Davies. I now use raw cows milk and a bit of yoghurt and a thermos which is very simple. I have made yogurt for years. I bought my "EasyYo" yogurt maker at the Super-Market. I noted that Amazon are also selling these Yogurt makers for around $24 Dollars. Basically, most Super-Markets are selling the 140 Gram sachets. There is a range of flavours as well as plain and fat-free varieties available. The Yogurt Maker will have a container inside. In this container I put the content of the sachet with a little sugar and extra full-cream or fat-free milk powder. This makes it thicker and creamier. Then adding cold water I mix it to a creamy consistency (you can use a wisk)and keep on adding water and mixing, making sure there are no lumps in the mixture then fill up the container to the top. 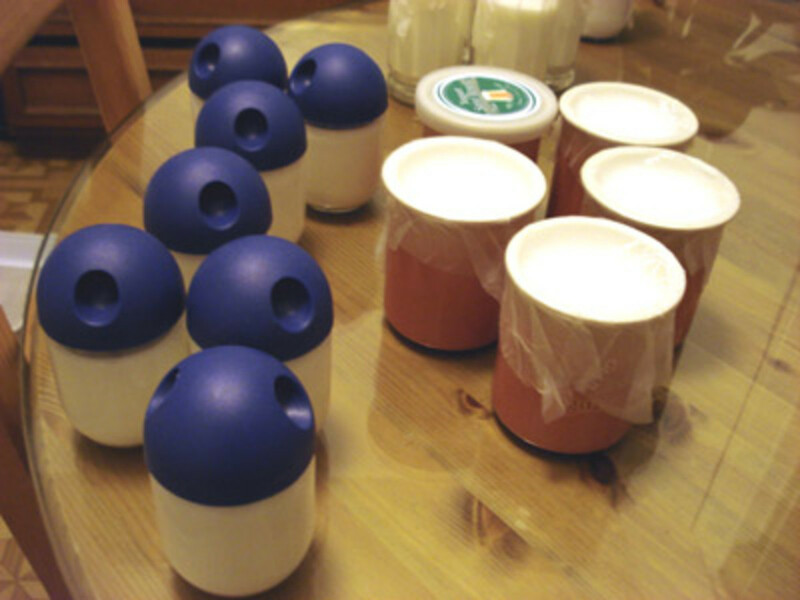 The last step is to put boiling hot water inside the Yogurt Maker and placing the filled container inside. 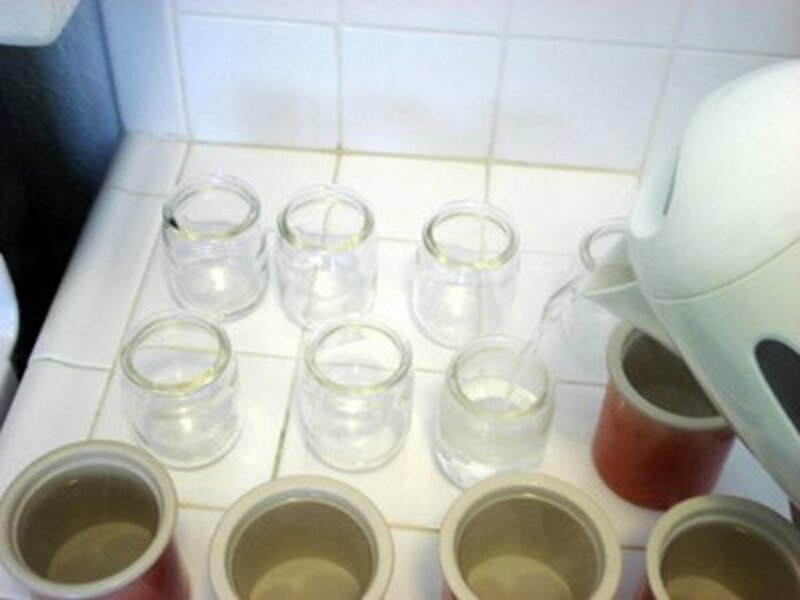 The boiling hot water must surround the container right up to the top. Put the lid on and that's it! I make mine at night, the yougurt is ready in the morning. It simple to make and YUMMY! I love home made yoghurt. When I was a child my best mate's mom made it regularly. They were Dutch and always used it on potatoes and in Salads. 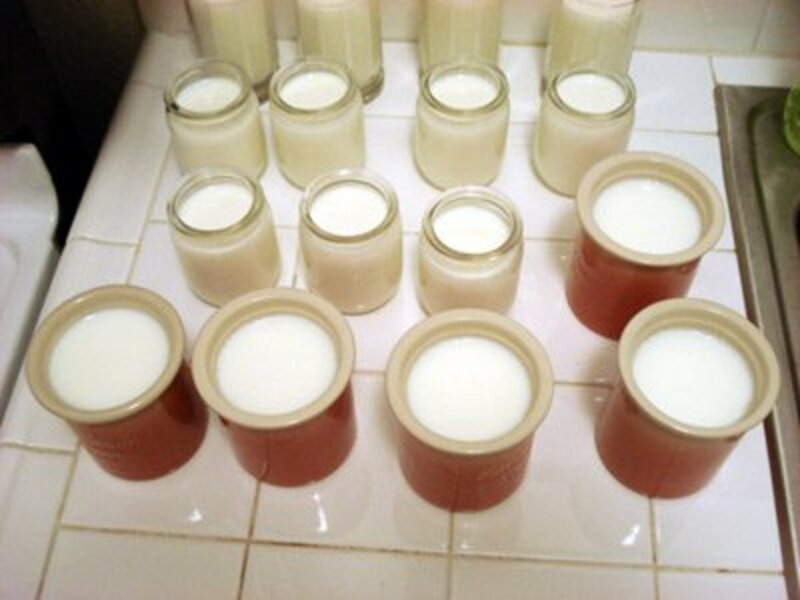 i think that it is interesting that people want to make their own yogurt at home. whatever saves you money right. * I like preparing food at home. It's fun! * I like experimenting in the kitchen. * I want to save money. * I want to make sure my yogurt is all-natural. * I eat a lot of yogurt and feel weird about buying dozens of yogurt containers every week. I love yogurt.. can't wait to try this! Great hub.. thank you for sharing. My family loves yogurt. I'll try it. I will be trying this out next weekend. Well Done! The process seems quiet involved. I like to get in and out of the kitchen in a jiffy, except when I am preparing multiple meals. I guess if i was a lover of this product i would take the time. I do like that you provided the relevant ins and out...keep it up. Thanks. I have been searching for this. The way you teach it is great. I would wish to know or test your yogurt since this is when i hahe come across information in my life and i will look ford to know how to make it too. Thaks for such a wonderful information. Nice but way too involved for such a simple process. Here's what I do and it comes out perfect every time. Bring to a full boil 1/2 gal milk. I pour in a glass bowl and let it cool to 110 degrees (use a thermometer). Stir in 4 good tablespoons yogurt with active cultures. Cover and then wrap in towel. 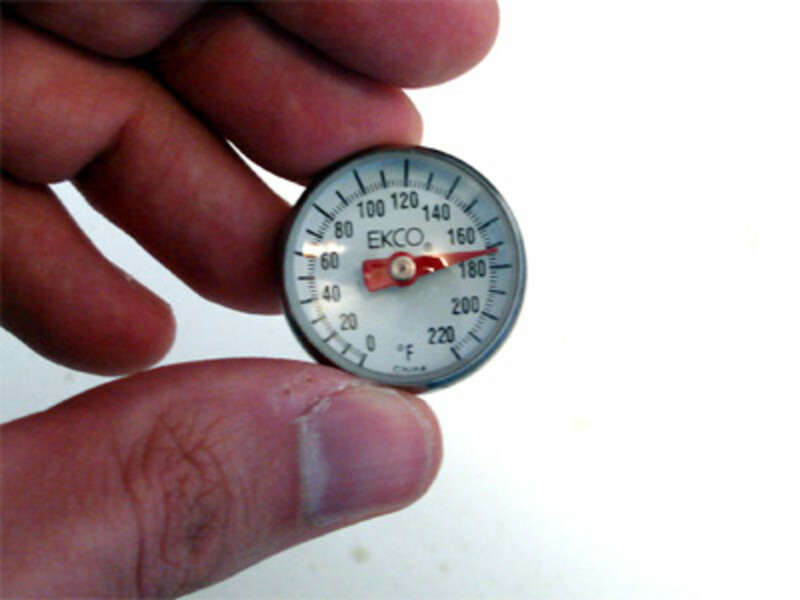 I sit this on the middle of my stove and put oven on lowest setting. 4 hrs later...Yogurt. I put in the fridge for a couple of hrs before I eat. That's it! I sometimes do this at night before I go to bed and let it sit overnight. Never fails. Enjoy! I love this.Thanks for sharing your wonderful knowledge. I was researching how to make coconut milk yogurt online and found a link to this hub! I can't wait to try it! I was going to answer your poll but my answer isn't on there - I'm preparing yogurt for the probiotics. It was really interesting and knowledgeable. My wife is preparing yogurt exactly in the same way for last 25years now. My children do not like yogurt from market, specially the one available in tetra packs.One must be extra careful with regards to cleanliness of all utensils and freshness of all ingredients used, otherwise homemade yogurt can be dangerous for health. I like this article very much. It's very detailed... I am a yogurt lover and now i am able to try making my own yogurt,as well as helping others to do the same. Yum! I'll have to try this myself! well, i'm new here and still checking out some great articles and this' one of them. This is a great article on how to make yogurt. There are so many health benefits of eating yogurt. Here is a link I found containing many of the benefits. This was a great topic for yogurt eaters. I must admit, when I read the article I grew a bit disheartened because for me it seemed more complex than I want to engage. However, the comments and especially the more simpler recipes that was posted lightened my heart. Thanks to those sharing your family yogurt methods and flavoring tips. Great generating vibes, kudos to you, Livelonger. Has anyone mentioned how to make your own starter rather than buying a starter? i.e milk and lemon boiled, any suggestions? I have a near perfect record of yogurt making until last few months, now I can't get it to set up although using the same method/equipment. Can weather or humidity levels affect set up? I use a simple method, heat whole milk and cream to 180, cool to 105, pour into 1 large sterile cottage cheese container and put into thermal bag with bottle of hot tap water. I know its staying warm because I can feel it when I open up after 8 hours. I've purchased a new thermometer, tried a different plain starger yogurt, and keep getting watery stuff. Sometimes there's a thickened film on top and in the bottom. What am I doing wrong? PS-3T starter to 3C milk/cream. Joseph - this is why sterilizing your containers with boiling water and bringing the milk to 180F are important. Obviously, if you introduce dirty implements or containers, or notice something looking or smelling off, then you should throw it all out and start over. I love eating and yogurt is one that I love to eat. Home made yogurt? Sounds delicious. But I think safety first. I think some process may seem to allow bacteria to grow and harmful to digestion. It is a good business aside from it is done at home. Michael - I don't know how, but via AdSense alone this Hub has earned me over $383 since I published it. There are also Amazon offers as you can see above, but I don't know how much of my Amazon earnings are via this Hub. Many if not all the contributions on this hubpage were on how yogurt can be made and the satisfaction derived from taking yogurt. My question is how can the owner of this hubpage earn money from what he has done by opening up a discussion on yogurt? Many of the contributors are yogurt producers and they also drink it. Unless he has something to sell to them on one to one basis - like a new and cheaper way of making yogurt, a new yogurt product and an access to a selected audience to promote a specific idea? My grandmother milked the cows and let the milk stay in the milk house. She would skim the cream off the milk and then let the milk set un til it clabbered. We ate this plain or mixed sugar with it.It was good. 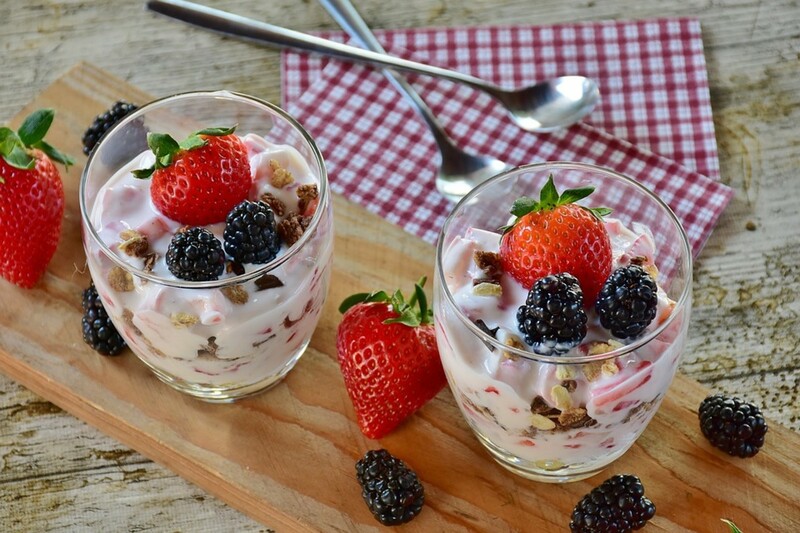 As a yogurt lover and penny-pincher, I found this article very useful for me and my family... I never thought of making my own yogurt at home and now I can't stop! Plus, my weekly savings have increased and my husband is happy about that! Thanks for the article! You do not need to heat the raw milk, or if you do, you should only bring it to 100 degrees w a candy thermometer, then turn the heat off. If you heat too much, the milk will lose its beneficial qualities. I bring 5 cups of raw milk to room temp, add 5 tablespoons of yogurtstarter (brown cow yogurt is best), put it in my yogurt maker and 8 hours later I have delicious yogurt!! To 1L of heated 2% milk I added 3Tbl cocoa powder, 1Tbl instant coffee, 1/2 tsp ground cinnamon, 2 sachet packets powder Stevia (sweetner) & 1tsp vanilla extract. Delicious cocoa/coffee yogurt. After refrigeration I strained some till it was thick and creamy and enjoyed it spread over a slice of wholegrain toast in the morning. I make yogurt at home too. I live in Bangladesh. to make yogurt, I use raw milk. First I boil milk. Then I add sugar and powder milk. Again I boil milk. After half an hour milk get thicker. Then I use cold water bath to cool the milk to 115 degree F. Add starter. steer it once or two. Meanwhile I use boil water to heat the jar and my Hot pot. Add the milk with starter to the jar and cover tightly and cover the jar with a cotton cloth and place it in the hotpot overnight. In the morning, I opened the hotpot and place the jar in a refrigerator for three hours. The yogurt is very thick, sweet and yummy. Best method ever!! I was considering to buy yogurt maker but did not find positive reviews about them..so decided to give this method a try and it works!!! Thanks a lot and i am enjoying my home based yogurt a lot!! @"In china we loved their "suan nai" literally sour milk yogurt. It is meant to be runny and you drink it with a straw out of the pottery mugs it was cultured in. It is refreshingly sweet and tart. This first batch of yogurt was great but can you help me reproduce our favorite breakfast beverage?" "bulgarian buttermilk" wich is runnier and a little more sour than regular yoghurt. It has a different bacteria combination than yoghurt. It is also very easy to make, just buy the quarter gallon "bulgarian buttermilk" at costco or walmart, and use it as a starter. How warm should be the proofing-heat when finishing the yogurt? I enjoyed how to make yogurt it has been fun and exciting! Now I can prepare a healthy treat for my family and friends that I think we all will enjoy. Love to see more people making yogurt. I use two plastic containers with plastic lids (holding about 750 ml each) and ferment in the oven. Couldn't be easier. That's really cool! I've thought about attempting to make yogurt for years but I always thought you needed a lot of cream (which is expensive). Would it be possible to make nut flavored yogurt, like pistachio or almond? I think peanut butter would be good too, something different from all the usual fruit flavors at the grocery store. This sounds so easy and a fun project for children to do with a helper. I have a couple of questions though. 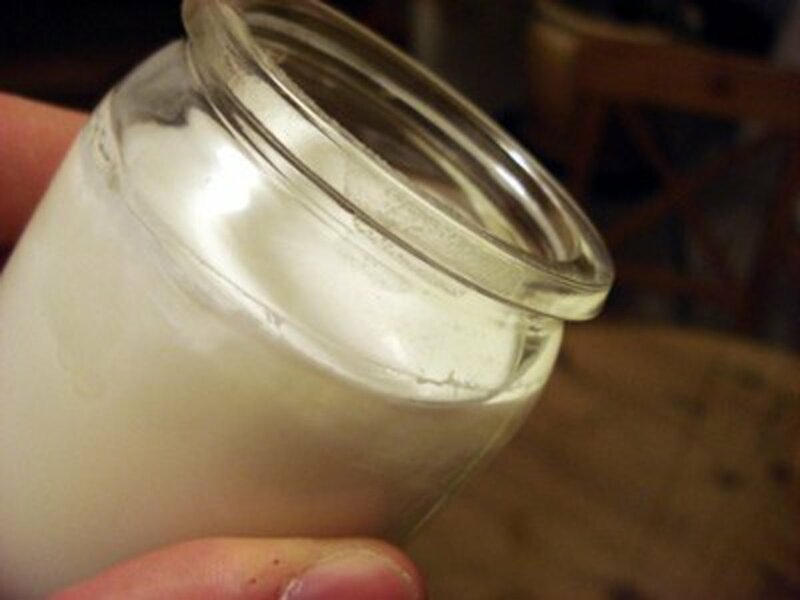 Do you know what the caloric/fat intake is per 6 ounces of this particular homemade yogurt? Also, if I wanted to add flavoring, should I use a juice or would you suggest I use a powdered flavoring? kristine: Yoghurt, and other dairy products, are made lactose free by mixing in lactase enzyme that breaks down lactose into galactose and glucose. I guess you could mix in some lactase powder in your yoghurt to achieve the same thing. An alternative is to use lactase pills from a pharmacy. Just pop a pill right before having any food with lactose in it. Livelonger, you must really enjoy doing things to enrich your life. 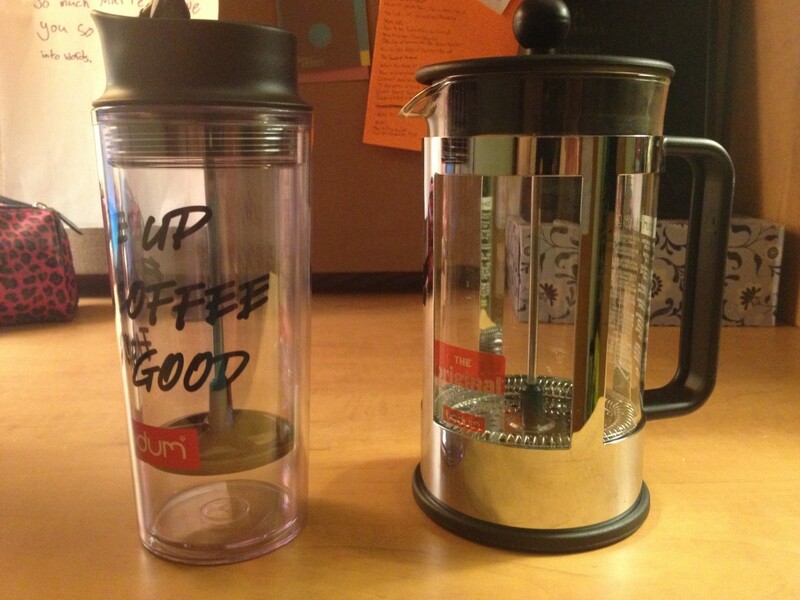 "Keep up the good work" AND "More power to you." As much as I like yogurt, it had never crossed my mind to try making it at home. When I've overindulged in heavy foods, I usually grab a cup of store bought yogurt. I really love the flavored kind; strawberry-kiwi, lemon burst, lime, etc. Yogurt is a really 'Tasty Treat' that helps me relax and unwind. If I get hungry late at night,(most times) I'll eat a cup of yogurt instead of something heavy. Maybe, some great day, between sunrise and sunset I'll muster up the patience to try my hand at your recipe. It just might do my mind and body good. Im Starting to make my own homemade yogurt. I've successfully created a liter of yogurt! thanks to the recipe! I've put aside a cup of the yogurt which will be used as my starter on my next batch. I make my yogurt from nonfat dry powdered milk. Mix 2 cups milk powder into 1 quart lukewarm water add two tablespoons plain yogurt and stir well. Pour into regular thermos bottles and let stand overnight. 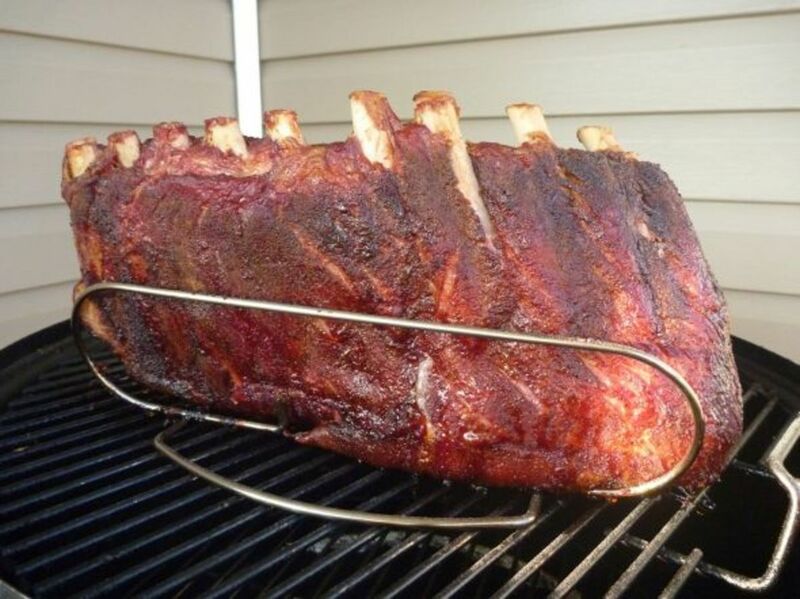 I like mine a little thick for cooking and so I strain it a day or two after that. I also like it blended with fruit and some sweetner. My yogurt looks like thick milk. I used skim milk cause I am a not a fan of whole milk and I only buy nonfat yogurt. I didn't have a cooler so I sat the bottle on a pad warmer, draped a towel over it and put a big pot over that to keep the heat in. It still didn't turn out right. Kristine: I don't think so. I wonder what made your yogurt lactose-free...yogurt cultures normally need lactose as their food to culture milk into yogurt. If you are very, very sensitive to lactose, I'd avoid homemade yogurt and stick with the lactose-free version you buy in the market, unfortunately, since homemade yogurt will likely always have some lactose in it. Hi, i am lactose intolerant. Can i use lactose free yoghurt (i can only purchase flavoured ) to start making my own yoghurt? Thnks for the nice hub with whole lot of useful info. We in Sri Lanka spend lot of money to buy yogurt from the shop and even at that price you get only a small quantity in a cup like 80g. My mother-in-law had once tried to make yogurt but she was not so successful because she had mixed gelatine also with milk. I just want to know from you Livelonger, what will happen if you use Buffolow Curd as the starter to make yogurt. It is difficult for us to find unsweetened, unflavored yogurt from the market. Sherry: put it in an ice cream maker, or follow other directions on how to make ice cream, treating the yogurt as you would the recipe for ice cream. I would not just put it in the freezer, since it would form large ice crystals and therefore not be "creamy." What is the next step to making frozen yogurt? Just strain the yoghurt through muslin or any cloth over a bowl to catch the whey - you can give the gathered up cloth a squeeze and leave it in the fridge. I can't wait to try this stuff!!! Oh Yea how do you make cheese from the yogurt? I have just started making yoghurt and have found a towel wrapped bowl of the milk mixture stays warm on top of my tropical fish tank when the lights are on and turns to perfect yog in about six hours.